Now here's a campaign we can get behind. For years we've rallied fof work that just tells it like it is minus all the ridiculous bells, whistles and buzzwords advertisers can't help but employ. 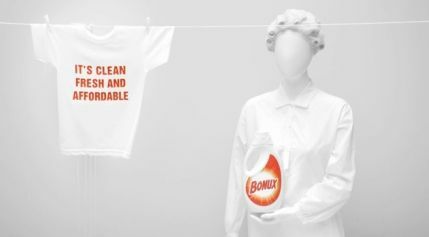 So it is with a breath of...ahem...fresh air we share with you this new P&G campaign for Bonux laundry detergent from Leo Burnett Brussels. Yes. The whole "trash advertising platitudes" thing has been done many time before but this approach, which mocks laundry detergent advertising platitudes just seems to work. Give the campaign a look.